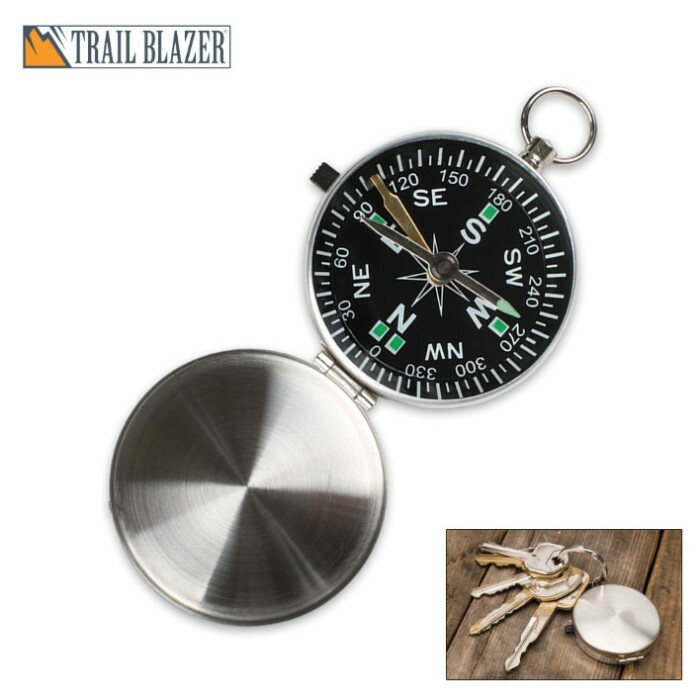 Trailblazer Pocket Compass | BUDK.com - Knives & Swords At The Lowest Prices! 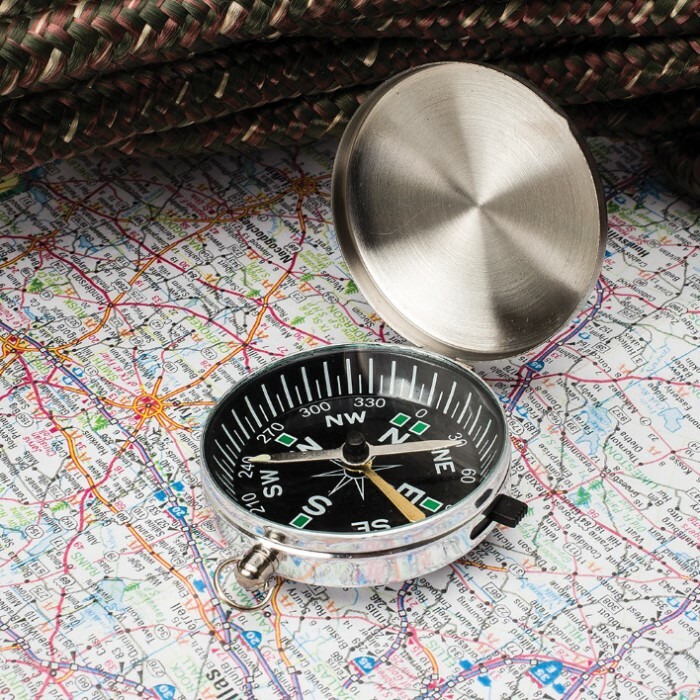 When you're hiking or exploring off the beaten path, the last thing you want is to get lost. 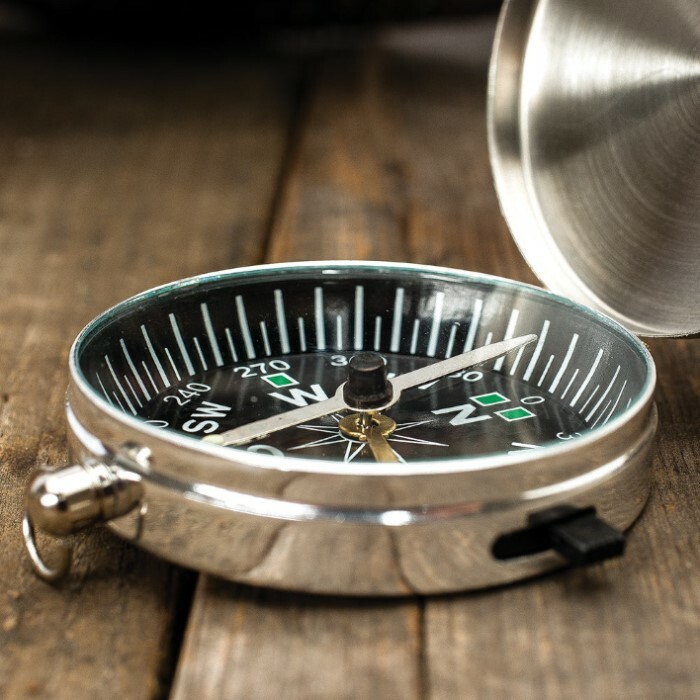 This compass will help you not lose your way. It features a nonmagnetic stainless steel case with a nonglare, black background that's easy to read. The luminous degree markings stand out, so you'll know which direction to head next. This pocket compass also features precision positive stop for accuracy and a jeweled needle pinion.